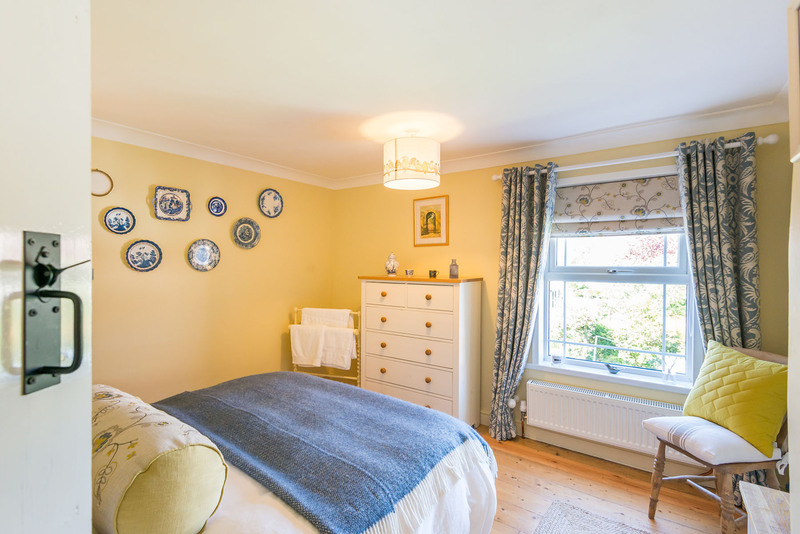 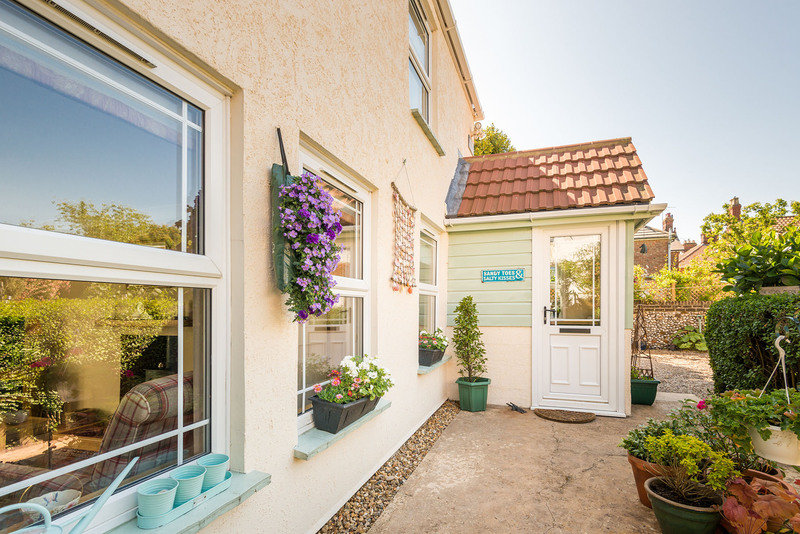 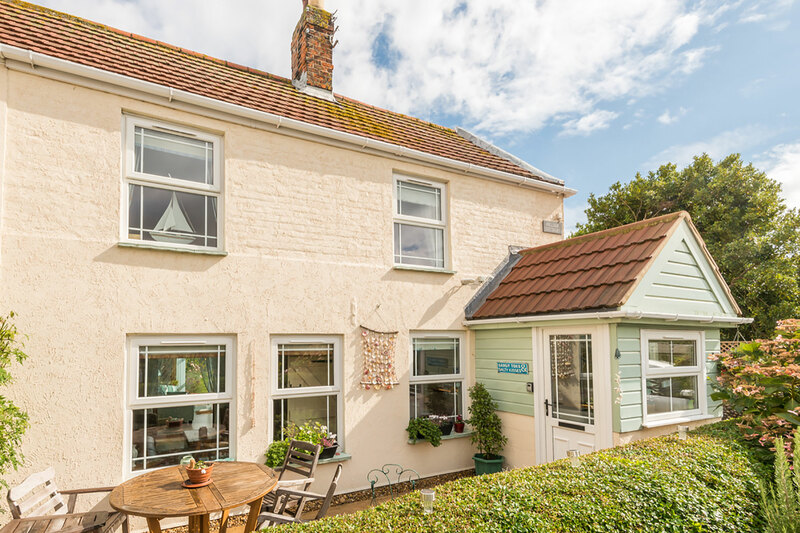 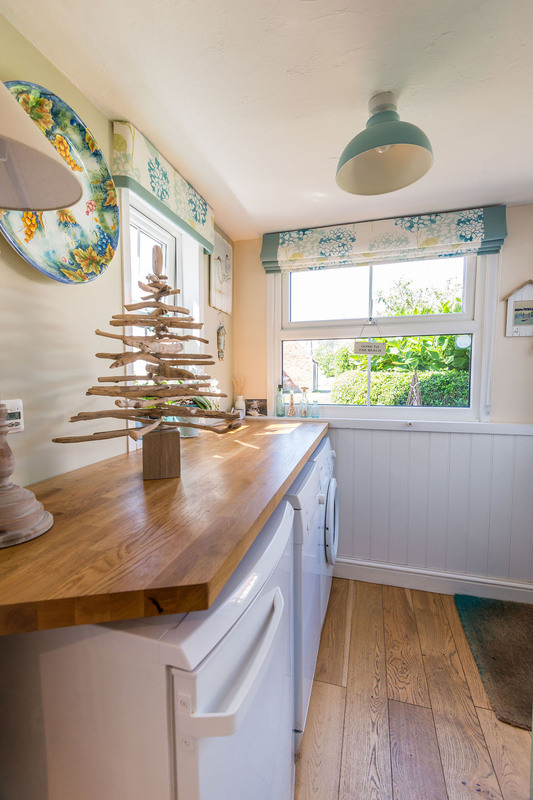 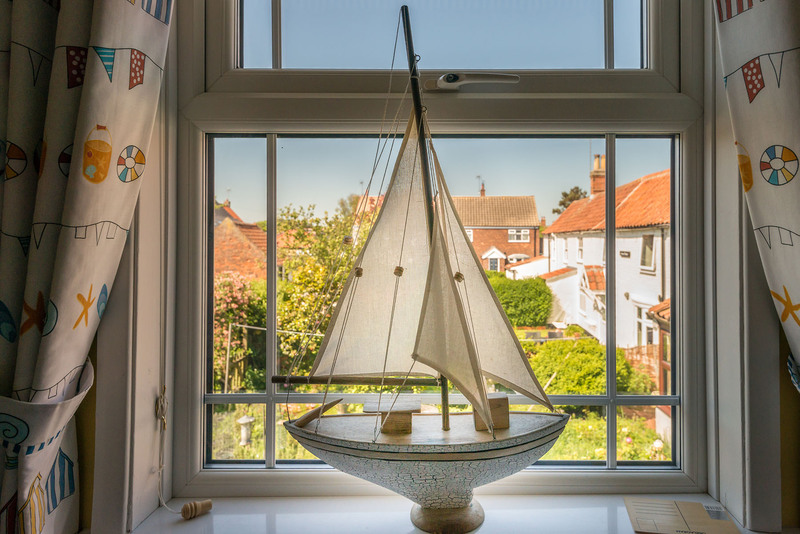 AN IMMACULATE semi-detached cottage just behind the dunes, tucked away down a small private lane. 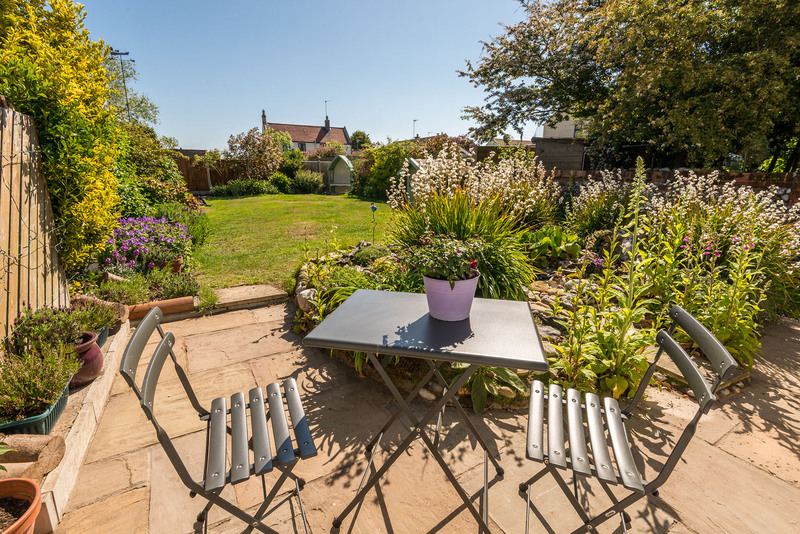 With a fabulous enclosed garden it's the ideal location for a holiday with friends or family. 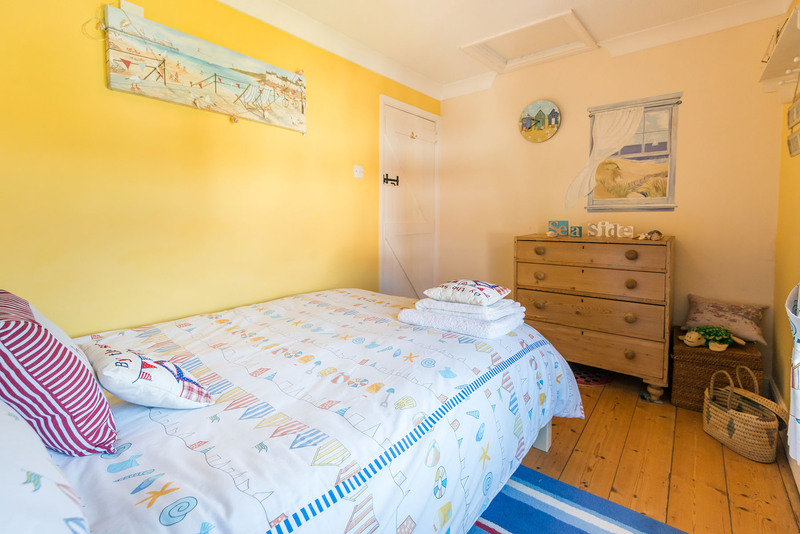 Access to the dunes is via a track nearby, and you can be on the beach in just five minutes. 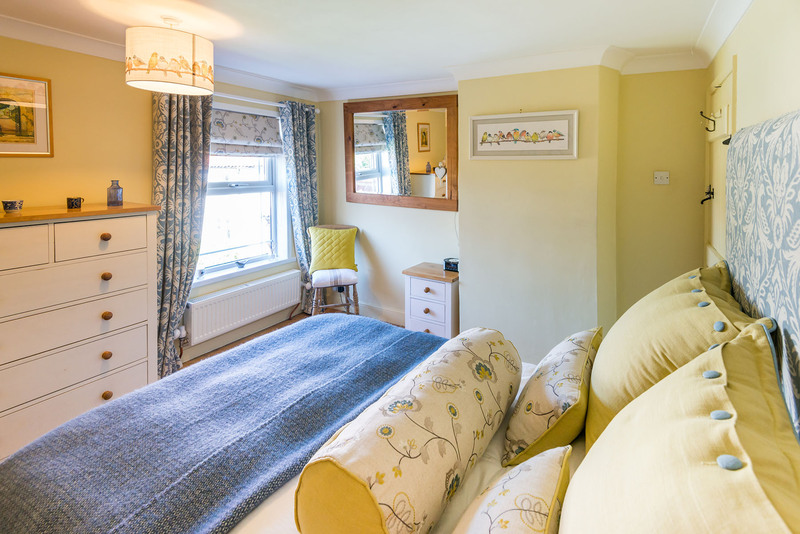 It's also close to all the village amenities including the local pub, fish & chip shop, post office and village store. 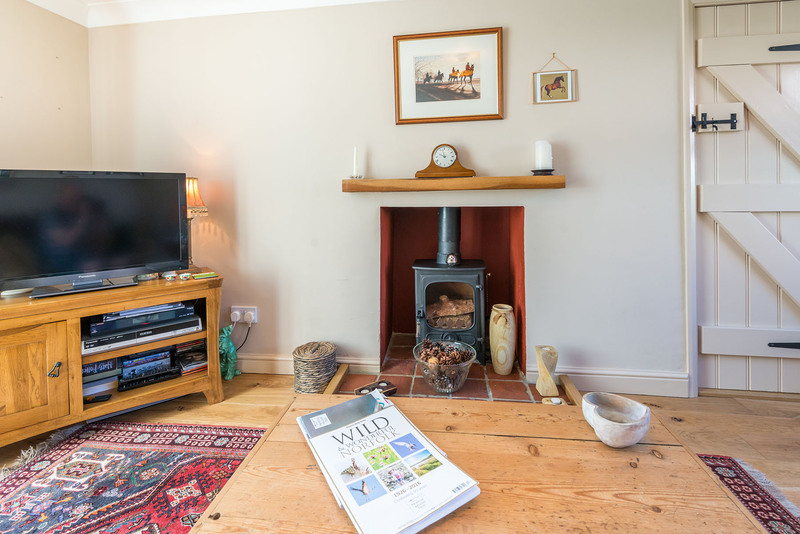 Downstairs, the comfortable lounge has a wood burning stove and TV. 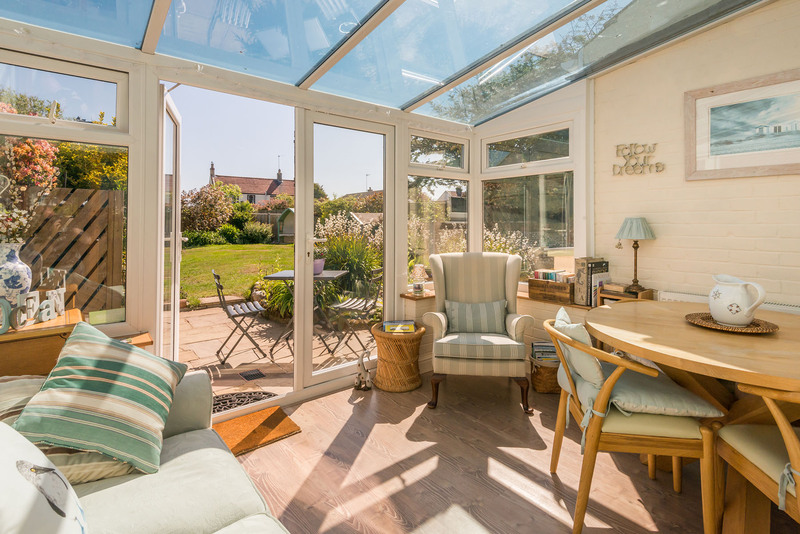 A set of double doors lead through to the conservatory which has an additional sofa and the dining table. 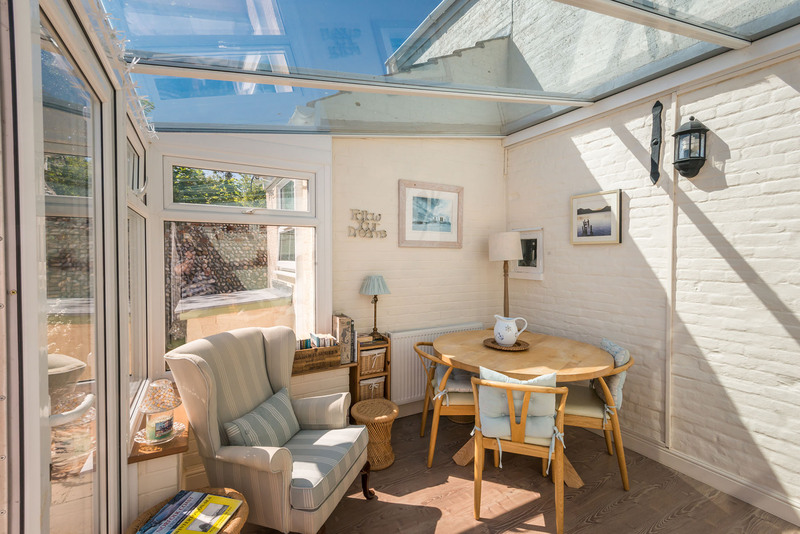 The conservatory has double doors opening onto a patio and the fabulous back garden. 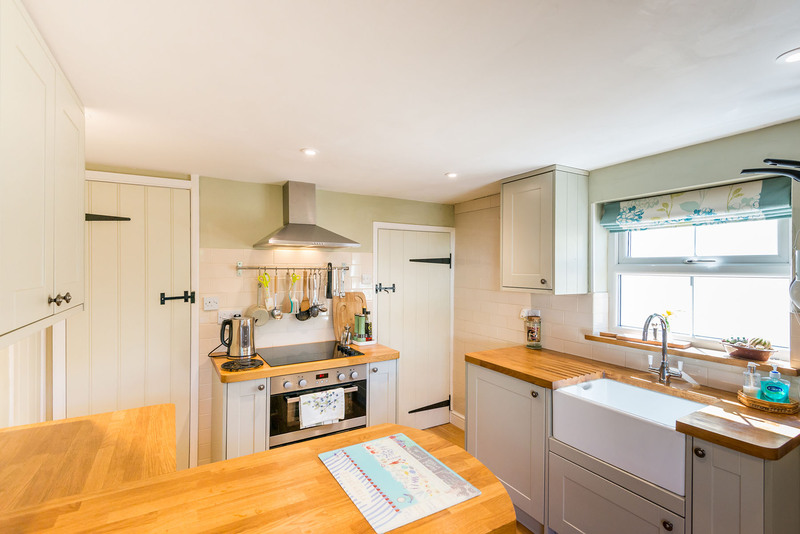 The well equipped kitchen has an electric cooker, hob and microwave. 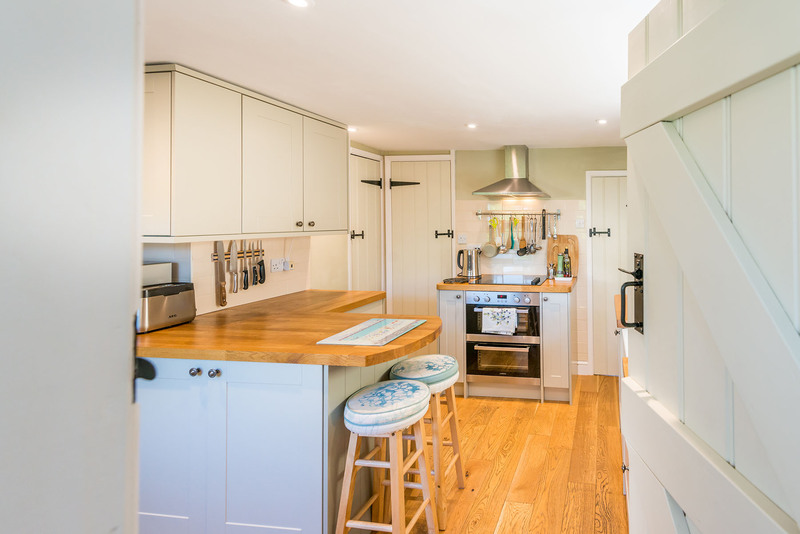 In the entrance lobby you'll find the fridge, a washing machine and a slimline dishwasher. 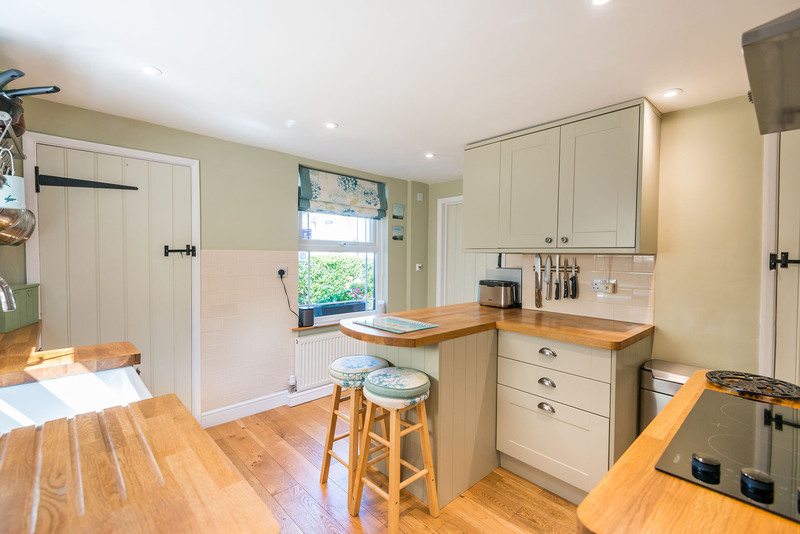 There is an additional fridge/freezer in the garage along with a tumble drier. 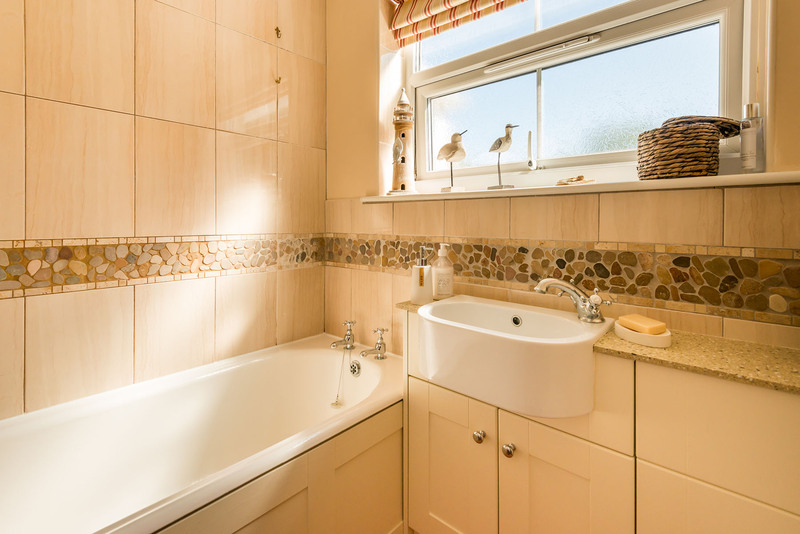 The downstairs bathroom is newly refurbished and has a shower over the bath, washbasin and WC. 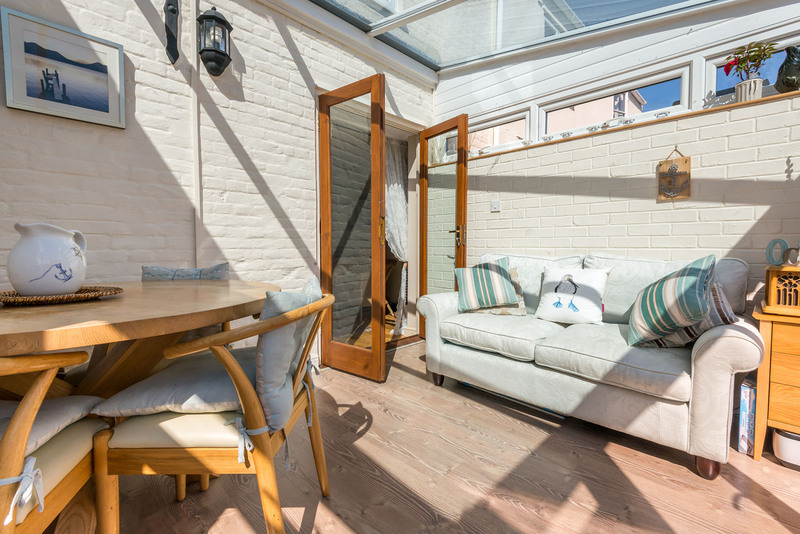 Outside, the large back garden is fully enclosed and has a choice of seating areas with a large round wooden patio table and chairs stored in the garage. 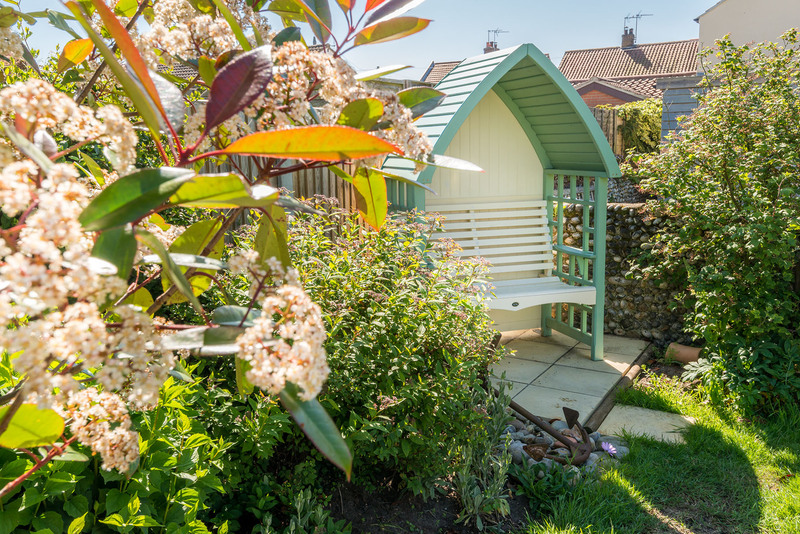 There is a small pond in the back garden and therefore young children must be supervised at all times. 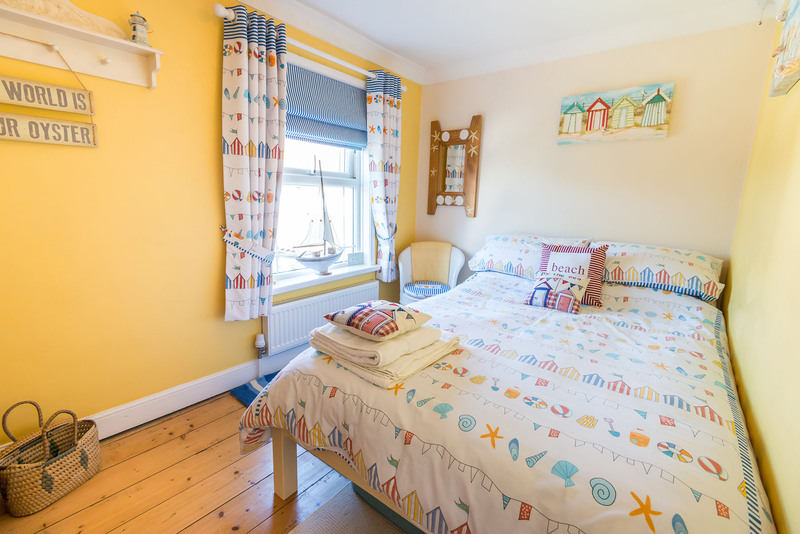 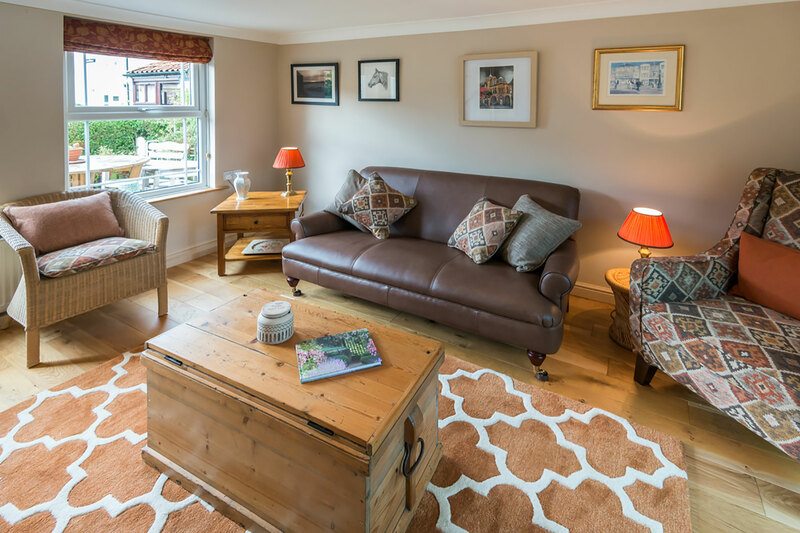 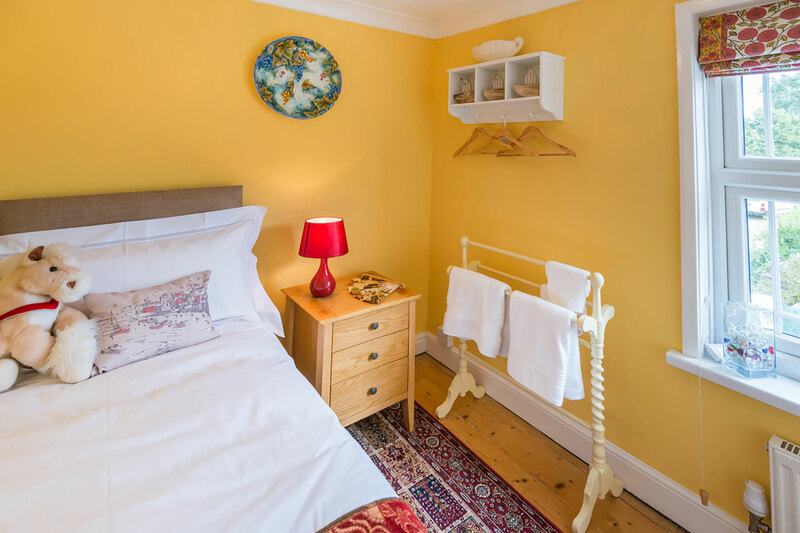 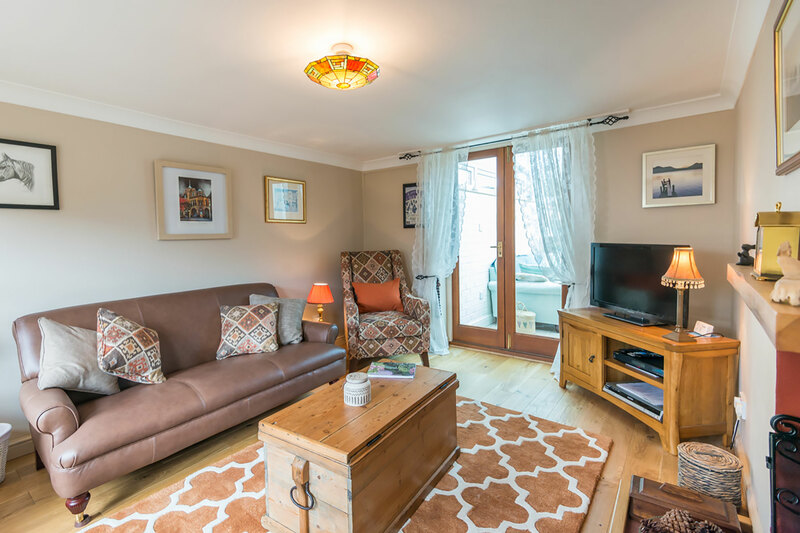 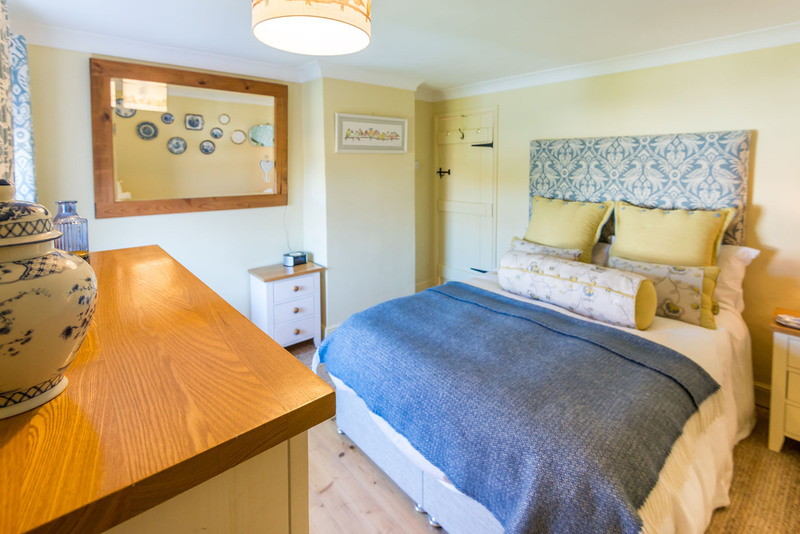 The cottage also has wifi and parking for two cars outside, and there are two adult bikes and three children's bikes in the garage available for guests to use. 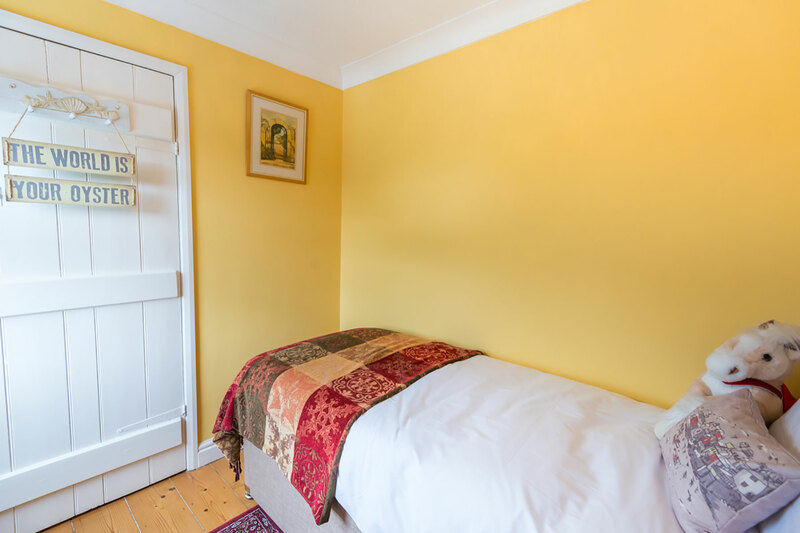 One dog is welcome for a small charge of £15.